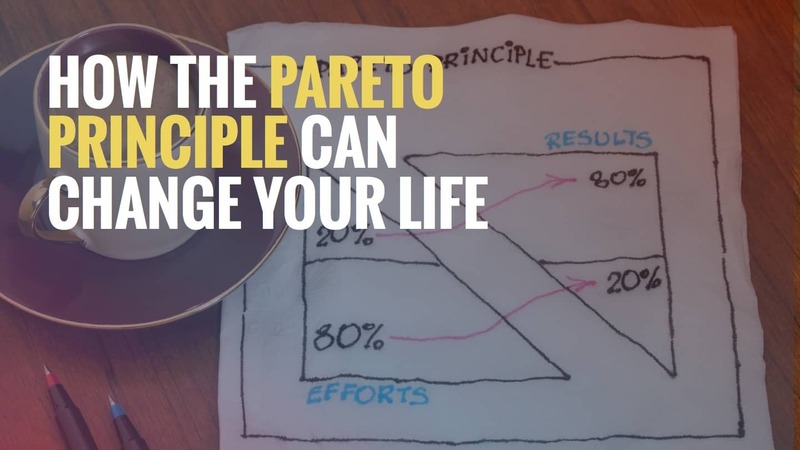 In the late 1800’s, Vilfredo Pareto discovered that 20% of the people in Italy owned 80% of the land. This ratio holds true for a variety of phenomena in the world. For example, according to the pareto principle (80 20 pareto), 80% of the wealth was held by 20% of the population. Fixing the top 20% of the bugs in a software program eliminates 80% of the software crashes. This idea can be applied to your life very effectively. Look at your customers. Suppose you are a salesperson, or that you have a small or large business. Just 20% of your customers provide 80% of your revenue. Also, 20% of your customers account for 80% of your complaints. If you have a customer that is one of the high-complaint and low-revenue customers, you might want to let them go. On the other hand, a customer that doesn’t require a lot of your time and provides significant revenue should be cherished. Now take a look at your employees. One fifth of your employees are doing 80% of the work. Do you know which employees fall into this group? Consider taking steps to prevent these employees from leaving. You might want to think about letting a few of the others go, so you can attempt to hire a few new people that are more like your high performers. Take a look at your friendships. Which of your friends provide the most support, camaraderie, encouragement, and laughter? You could conceivably eliminate the bottom 80% of your friends and still be doing pretty well. At the very least, consider letting go of the bottom 20% of your so-called friends. Look for more friends that are similar to your top 20%. Your exercise routine might be considerably shortened, too. If you’re lifting weights, there are only a few exercises that matter the most. It could be argued that the deadlift, squat, pull ups, bench press, and overhead press are among the most important 20% of weight lifting exercises. Interestingly, a few of these are frequently avoided due to the discomfort involved in performing them. Examine your own exercise routine and look for ways to make it more effective. Prioritize your daily tasks. Consider everything you have to do today or this week. The most important 20% deliver four times as much as the other 80%. Unfortunately, the 20% you should focus on are often the tasks you try to avoid. Most people manage to stay quite busy all day but fail to accomplish much. You can bet these people are avoiding the most important tasks. Do everything you can to finish the tasks that will make the biggest difference. Streamline your life. You wear 20% of your clothes 80% of the time. Just a few activities contribute to most of your happiness or fun. You can eliminate a lot of the excess weight from your life by applying the 80/20 rule to the people, activities, and possessions in your life. The 80/20 rule can be used in every part of your life. These ideas are just the tip of the iceberg. You can think of many additional ways to apply these principles to your life. Apply it aggressively, see what happens, and decide for yourself if it works. We spend too much time on people, activities, and things that provide little value. We also avoid doing the tough things that bring meaningful results. Begin today and focus on the 20% that will change your life for the better.